Fel-Pro race gaskets are constructed of selected materials which offer excellent sealing performance while allowing the user to easily trim and match modified port shapes. With unmatched coverage and material variety, these gaskets are available in thicknesses ranging from .030" to .120". Many Fel-Pro intake manifold gaskets utilize a synthetic rubber bead where applicable for superior sealing around intake and coolant ports. 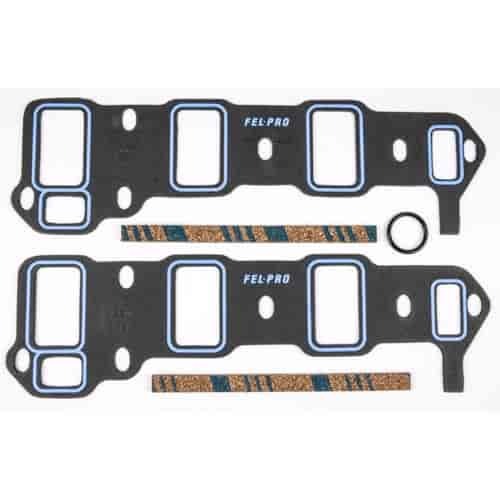 Most Fel-Pro Intake Manifold Gasket Sets include blue cork/rubber end strips with adhesive backing.